It’s been nearly two years since the Rangers last played in a postseason game. Two years. The worst part is no one knows when they will play their next postseason game. Unfortunately, the Rangers let their most recent window of opportunity (2011-2016) slam shut without a championship and now they are in a rebuild with their only real high-end talent in the system not even in the system yet. The best prospect the Rangers have isn’t even a player, it’s the No. 2 pick in the 2019 draft, which they miraculously won on Tuesday night. Maybe Jack Hughes or Kappo Kaako will be a true star and the Rangers can win free agency and their slow rebuild can be greatly accelerated. 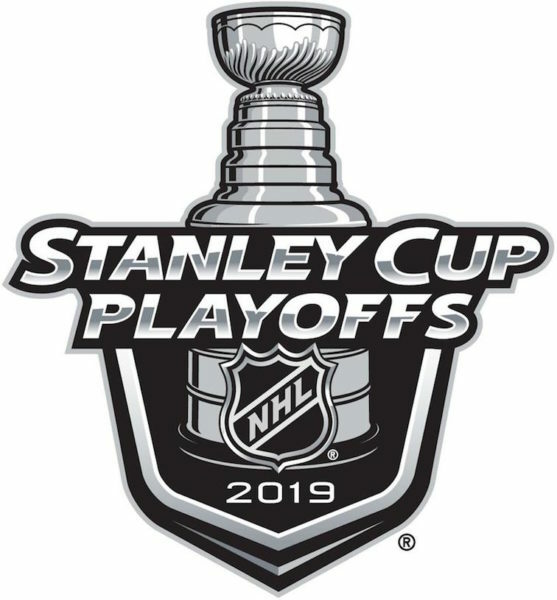 But if it’s not, this likely won’t be the last time I have a “Stanley Cup Dilemma” prior to the Stanley Cup Playoffs starting because I won’t have the Rangers to root for for even a single round in the near future. Here are the 16 playoff teams and the order I will be rooting for them over the next two-plus months. Joe Thornton. He’s who I’m rooting for in these playoffs. I want Jumbo Joe to retire with a Stanley Cup and it will be sad if he’s unable to. Outside of pulling for Henrik Lundqvist to win a Cup, which isn’t going to happen as long as he wants to remain with the Rangers, Thornton is the one other play I desperately want to win. Even after reaching the Final three years ago, this team is his best chance to win a championship. If the Sharks can’t win it this year, it’s not going to happen with Thornton on the team. Mats Zuccarello. Like his best friend Lundqvist, Zuccarello’s time in New York was wasted by surrounding a strong core with the worst imaginable defense. Zuccarello loved New York and being a Ranger and trade rumors this season negatively affected both his life both on and off the ice. After the Rangers failed to come to terms with him on a contract extension and traded him, seeing him smile when he scored in his first game with the Stars made me smile. If the Stars win, Zuccarello wins and the Rangers win since they will get Dallas’ first-round pick if the Stars win at least two rounds in the playoffs. The Predators were close two years ago, losing to the Penguins in six games. I have nothing at all against the team (outside of a few bets they lost me this season with some disappointing performances), and P.K. Subban winning it in Nashville wouldn’t go over so well in Montreal. The Flames are fun to watch and Johnny Gaudreau is my favorite player to watch in the entire the league. Everything he does looks effortless and the numbers he has compiled and resume he has built since entering the league with his size is incredible. Unfortunately, the Flames have Mike Smith in goal, so for as much as I would enjoy seeing them win, it’s going to take a lot of offense, and in the postseason, that’s not something that should be relied on. I pulled for the Golden Knights last season in their first season and jumped on their postseason bandwagon as a compilation of players other teams didn’t care to protect. I wanted them to deprive the Capitals of a championship, and they weren’t able to, but I will gladly root for them again. The Blues are the oldest team to never win the Cup. As much as I enjoy championship droughts for teams I despise, I root for them to end for teams I have no relationship with. I have always believed the NHL needs to redo their postseason format. There should be more of a reward for winning your division or being the 1-seed in your conference than one extra home game in a seven-game series. The Lightning just completed what is tied for the best regular season of all time and they have to play a dangerous and deep Blue Jackets team in the first round despite dominating for 82 games and six months. The Avalanche winning would mean yet another 8-seed survived the postseason, like the Kings just as recently as seven years ago, and will only further enforce the idea the current format needs to be changed. Winnipeg lost its team to Arizona. Yes, Jets fans got their team back, but they deserve to win for Gary Bettman’s “Let’s put hockey in all the southern states” plan. The Maple Leafs’ championship drought might not be as long as the Cubs’ and Red Sox’, but to me, it’s actually worse. The Maple Leafs are hockey, and after having gone to Toronto for the season-opening Yankees-Blue Jays series last year, it really hit home how incredible it is the team hasn’t won since 1967. I can’t even imagine what Toronto would be like if the Maple Leafs were to win it all. The downside is I’m not a Mike Babcock fan, and for the Maple Leafs to win, it means Babcock wins. But at the same time, John Tavares winning the Cup with Toronto would crush Islanders fans, and I’m all for Islanders fans being sad. Also, the Maple Leafs winning would mean they had to beat both the Bruins and Lightning (both teams are at the bottom of this list) to do so, and that works well for my personal fandom. It makes me sick when the Hurricanes wear the Whalers jerseys. Either change your name to the Carolina Whalers or stop bringing up the nostalgia of hockey in Connecticut. The Hurricanes are a constant reminder of the Whalers’ move and they make me sick. At this point, I don’t care if John Tortorella wins again. Yes, he forced Marian Gaborik out of New York for scoring goals instead of blocking shots, and it was Gaborik who led the Kings in scoring in the playoffs in which they beat the Rangers, but if the Blue Jackets win, a lot of worse options from the East won’t. I like watching greatness and the Penguins have been just that in the Sidney Crosby era with three championships. So while most Rangers fans despise Crosby and the Penguins, I don’t. He’s a generational talent and on the short list of the best players in the history of the game. I have no problem with him winning a fourth Cup. In the never-ending Sidney Crosby-Alexander Ovechkin debate, I have always been Team Crosby. Aside from the career points per game and being an all-around complete player, Crosby’s three Cups to Ovechkin’s now one has always served as support for my argument. I can’t have him winning another one, let alone in back-to-back seasons. You’re probably wondering how the Islanders are only 14th out of 16. You’ll see why. Obviously, no Rangers fan could pull for the Islanders to win it all, and I’m certainly not. The only series in which I would root for the Islanders would be if they’re playing the 16th team in the Eastern Conference finals, and then I would root for the Western Conference champion to win the Cup. If the Bruins were to win the Cup, it would mean Boston has won the World Series, Super Bowl and Stanley Cup in consecutive. Outside of the Red Sox and Mets meeting in the World Series (since one team would have to win), three straight championships for Boston would be as bad as it gets. I’m still sick over having to watch three ex-Yankees, who were all painful to watch as Yankees, in Nathan Eovaldi, Eduardo Nunez and Steve Pearce win a World Series with the Red Sox this past October. All three had a significant hand in beating the Yankees during the regular season and again in the ALDS. I will never get over it. The same thing nearly happened in the 2014-15 Stanley Cup Playoffs when the Lightning beat the Rangers in Game 7 at the Garden to advance to the Final. Thankfully, the Blackhawks beat the Lightning and Rangers fans were able to avoid having to watch Ryan Callahan, Brian Boyle and Anton Stralman hoist the Cup at the Rangers’ expense. For the foreseeable future, I have to worry about a similar situation. The Lightning currently have the following ex-Rangers on their team: Callahan, Stralman, Ryan McDonagh, Dan Girardi and J.T. Miller. I can’t have the Lightning winning the Cup this season or any season in which those names are still on their roster. Sure, the Rangers get the Lightning’s first-round pick if they win the Cup, but I don’t care. After Girardi’s disastrous decline with the Rangers, which included him single-handedly giving away games to the Kings in the Final, the last thing I want is to see him holding the Cup over his head.